If Wilmington architect Michael Kersting ever retires — an unlikely step at this stage in the 50-something modernist’s career — he’ll leave behind an epic, two-part legacy. First, there’s his catalog of residential work on Wrightsville Beach, Figure Eight Island and the Intracoastal Waterway. 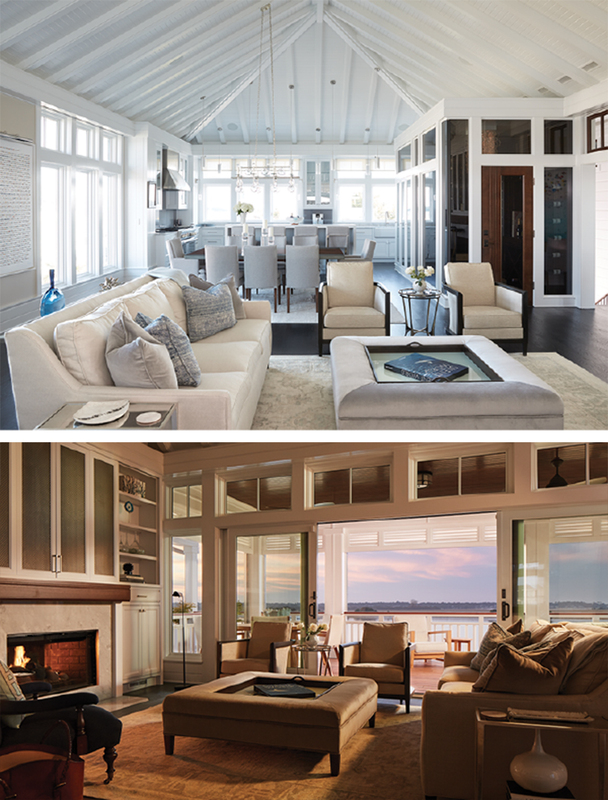 His designs range from neo-traditional to modern, from shingle-style to crisp-and-white, and from a one-story, midcentury modern renovation to a four-story tower overlooking Banks Channel. All are one-of-a-kind, because Kersting never repeats himself. Then there’s the series of young architects who joined his practice right out of school, cut their design teeth at his hierarchy-free firm, then set out on their own across the state and nation. Because Kersting has no office door, he works side-by-side with eight other designers in a kind of collaborative architectural gumbo that simultaneously poses questions and seeks answers. Even interns are encouraged to find and defend architectural solutions for $4 million homes. And they do. A New Mexico native, Kersting slipped into Wilmington after grad school at N.C. State’s College of Design and a brief gig in Santa Fe. His wife, a landscape architect he met in Raleigh, was a Delaware native who wanted to head back East. So he scored an interview with Wilmington architect Ligon Flynn, also a College of Design graduate and a designer who had earned a legendary reputation on the Carolina coast. Some of that chemistry can be traced back to Flynn’s ideas about understanding the client, and asking questions that help an architect exceed expectations. Besides bedrooms and baths and kitchens, Kersting wants to know about lifestyle and hobbies. “We spend a lot of time on programming — it’s the second-most important thing, after the property itself,” Kersting says. It’s a process that’s paid off — in spades. 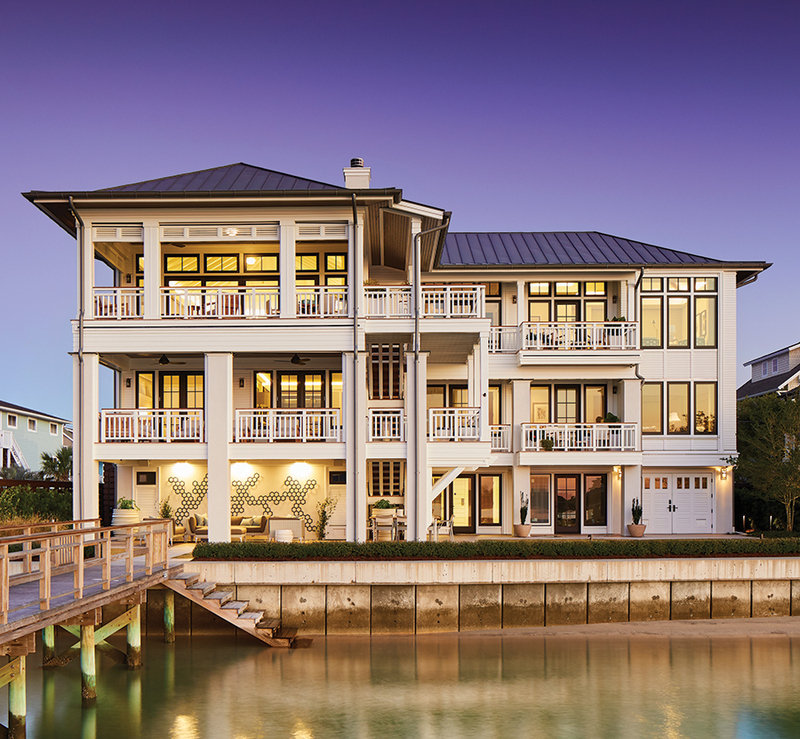 Over the years, Kersting’s firm has designed 30 homes on Figure Eight Island, 28 at Wrightsville Beach, 20 along the Intracoastal Waterway, and 15 that are creekfront. And they’ve done it in one of the most brutal environments in the country. “That’s where the experience of some failure comes in, but paying attention to what other people do also comes into play,” he says. It’s a master/apprentice model, and it attracts a specific kind of talent that’s self-guided and independent. “Here you really can change the way a project looks, which is appealing to a certain kind of person who may move on eventually,” Keeton says. Among his alumni are Chad Everhart, who would leave in 2003 for graduate school, then teach at Appalachian State and practice in Boone; Kevin Pfirman, who worked with Kersting until 2001, then set up his own Wilmington firm in 2002; Don Dudley, who established his Albuquerque firm in 2001; and Hunter Coffey, who left Ligon Flynn’s office to join Kersting in1996. 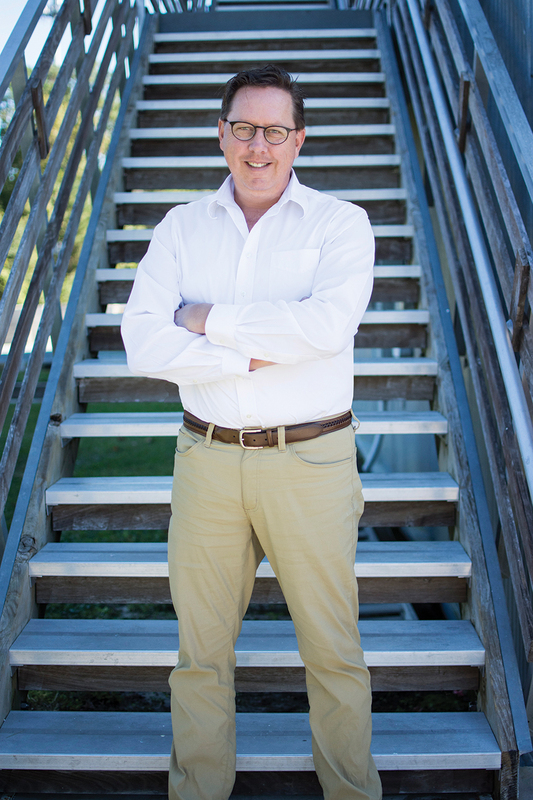 Then there was Robby Johnston, who arrived at Kersting’s office in 2003 and stayed for two action-packed years before he eventually cofounded the Raleigh Architecture Company. “He had so much energy that he energized the whole office,” Kersting says. Kersting’s legacy, Johnston says, will be people like himself following his standard, working to his design ethic and to the quality that he’s established during his career. Others still at the firm agree. “He’s somebody who’s holding onto a little bit of honest rigor and thoughtfulness about what this place really is,” says project architect Keeton. It’s a quality that’ll live on through other designers long after Kersting does retire, says project architect Wilson. That’s especially true for himself and for Keeton, each of whom have been with Kersting for more than 10 years. Early next year, they’re slated to be named the first partners ever at Michael Kersting Architecture. That means the Kersting legacy of coastal modern architecture — directly descended from N.C. State and Ligon Flynn — will live for another generation in Wilmington. J. Michael Welton writes about architecture, art and design for national and international publications, and edits a digital design magazine at www.architectsandartisans.com. He is the architecture critic for The News & Observer in Raleigh and author of Drawing from Practice: Architects and the Meaning of Freehand (Routledge: 2015). He can be reached at mike@architectsandartisans.com.